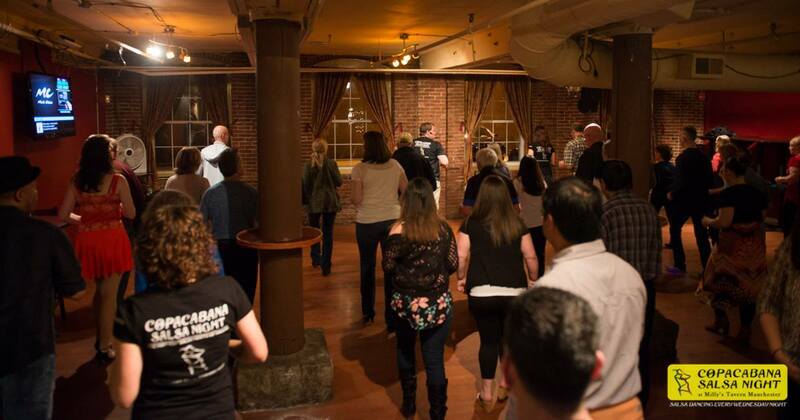 Learn to dance Salsa in New Hampshire with Salsa Sabor, a community based organization centered around introducing and sharing salsa with NH residents. We host the weekly Copacabana Salsa Night every Wednesday at Stark Brewing Co (formerly Milly’s Tavern) at 500N Commercial St. Manchester, NH. 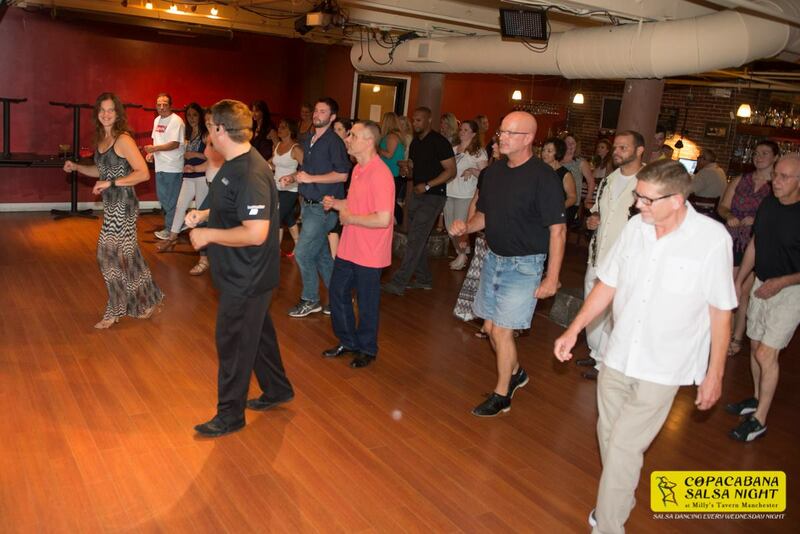 We are working hard to grow New Hampshires Salsa Scene, with a combination of social dancing and instruction. Our highly successful Copacabana Salsa Night has grown into one of New Hampshire’s best dance clubs with upwards of 100 dancers every Wednesday night. 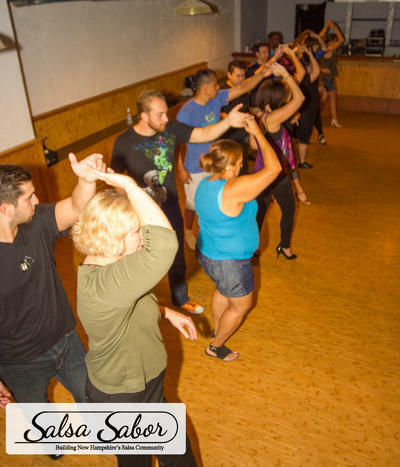 Salsa Sabor has brought in outside instruction for our community in the form of special events with world class dancers such as Mariano Neris, Ana Masacote, Salsa Y Control, Uriel Garcia, Vera Rowe, and more. We will continue to work hard to provide great dance opportunities for our community as it grows to keep the dancing spirit high. 4 Commentsto Salsa Dancing in New Hampshire! I’m interested in participating in the Copacabana Salsa nights at Milly’s. Do I need to sign up? And how much does it cost? No need to sign up, just come on Wednesday for the start of the lesson 7:45pm. Each week there is a beginner and advanced beginner lesson. Lessons cost just $5. 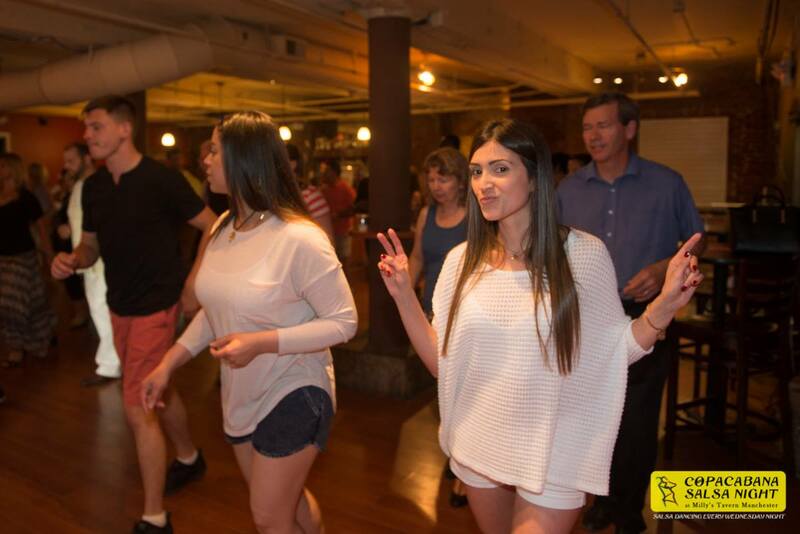 Our program is designed such that if you come to take the beginner lesson regularly you will learn all the basics of Salsa and be able to advance to the more advanced salsa lessons. There’s always plenty of people, no experience or partner is needed. Just come and have fun with us. Inwould like to dance with you ! Keep me in the loop yo ! Hi was told about the Wednesday Millies dance night by Eszter as I had a class with her a month ago. Is that still going on and its ok if you’ve never had a lesson before ? I don’t have a partner either so hopefully that’s not a big deal for beginner.